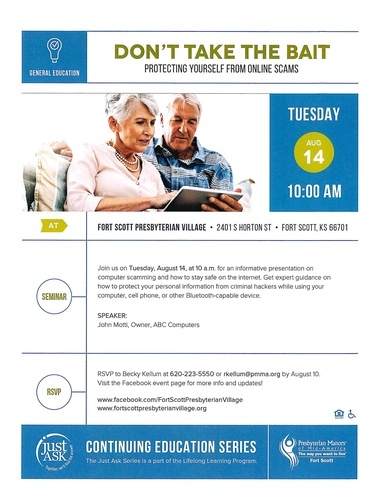 Join us on Tuesday, August 14th, at 10am for an informative presentation on computer scamming and how to stay safe on the internet. Get expert guidance on how to protect your personal information from criminal hackers while using your computer, cell phone, or other Bluetooth-capable device. The speaker will be John Motti, Owner, ABC Computers. 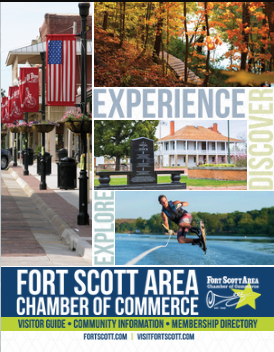 RSVP to Becky Kellum at 620-223-5550 or rkellum@pmma.org by August 10th. Fort Scott Presbyterian Village, 2401 S. Horton St.